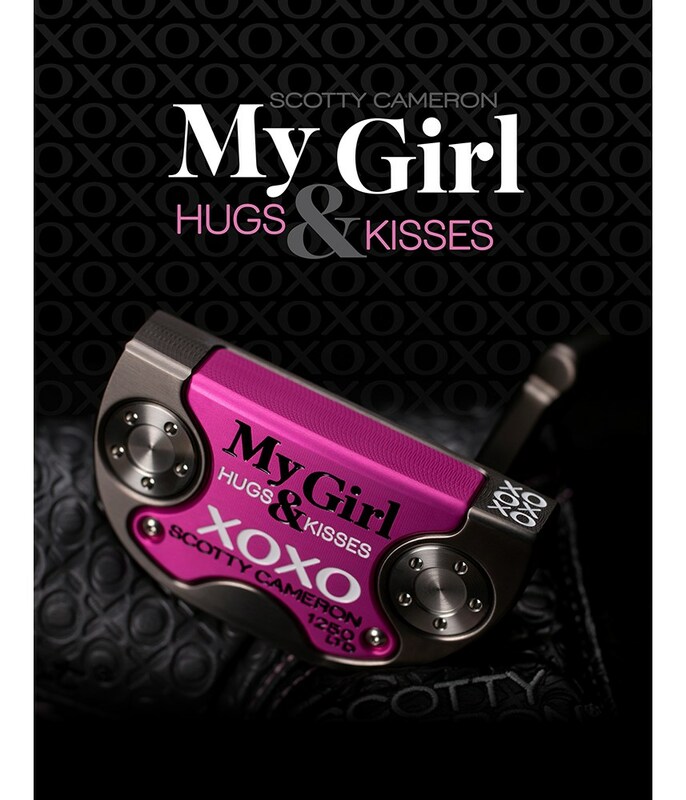 The Scotty Cameron My Girl XOXO Putter is the 17th Limited Edition My Girl putter that was and will continue to be inspired by his wife and daughters. Under the “Hugs & Kisses” design, the head is a Select Fastback crafted with fashion and fun in mind. 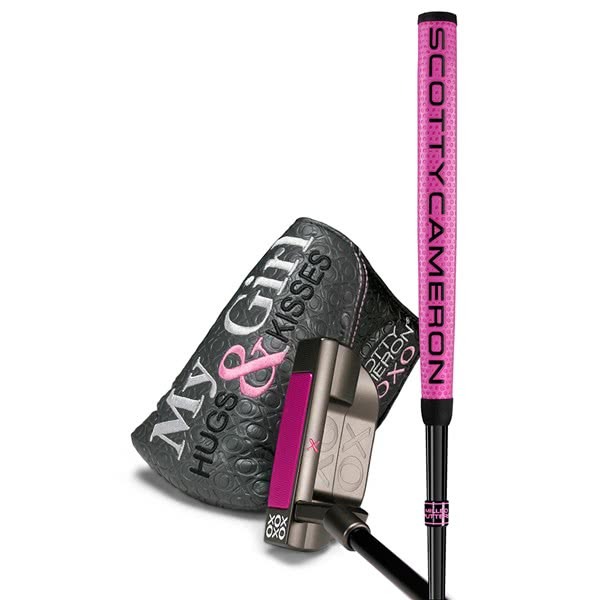 Available in 34” with a pink anodised face and sole insert and Tour-inspired custom plumbers neck, this My Girl XOXO is one for the collectors. The multi-material head design incorporates a 303 stainless steel body with a 6061 aircraft-grade aluminium. This combination of materials increases MOI for enhanced stability through impact. To deliver incredible balance and offset the weight of the grip and shaft, the Fastback features a four-way balanced sole design. Heel-toe weighting in the sole design also enhances forgiveness and stability of the head. These weights are length specific to further improve balance. 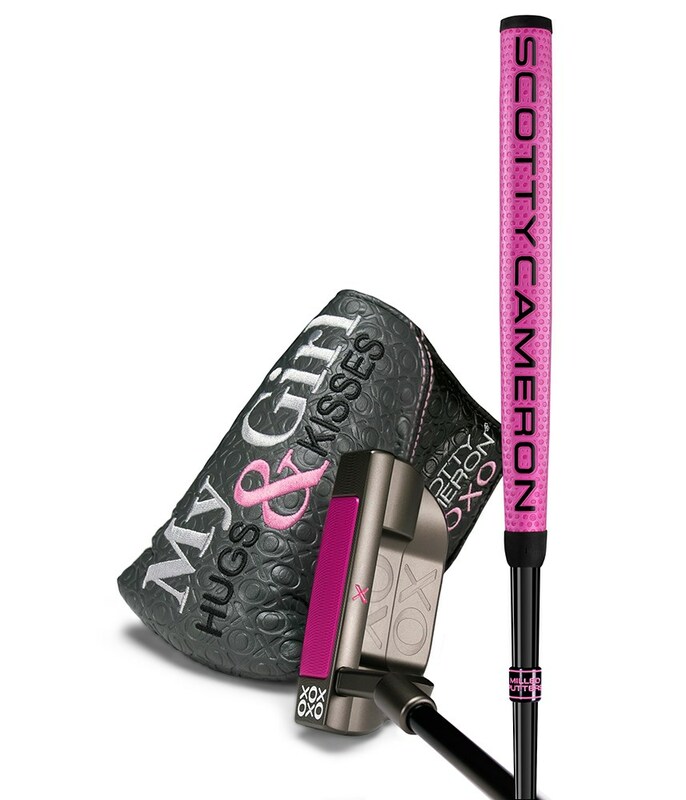 In keeping with the My Girl theme, a 10” small Matador pink grip has been used and a matching headcover that features the “Hugs & Kisses” logo as well as a pink “XO” divot tool.